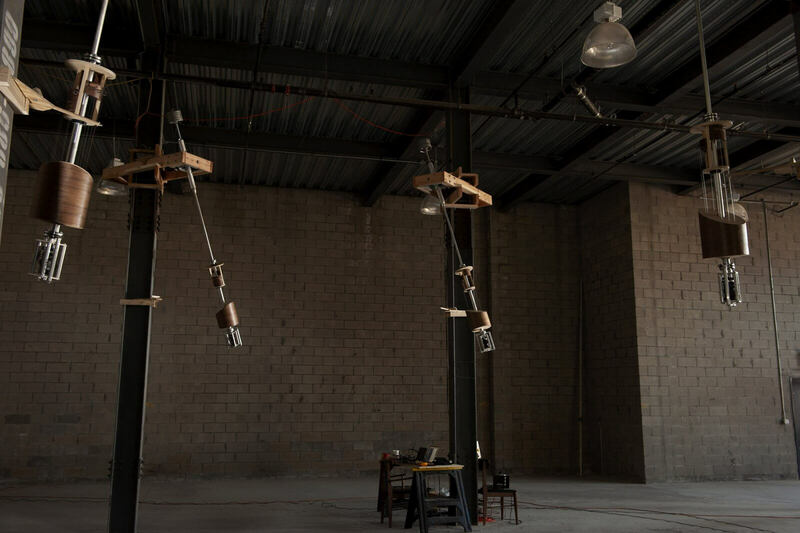 The installation consists of four pendulums that slowly swing back and forth to play musical notes while they hang twenty-five feet in the air. For her Biophilia tour, Bjork commissioned a variety of people to design and construct custom musical instruments. One of the people she approached was musical robot builder Andy Cavatorta. 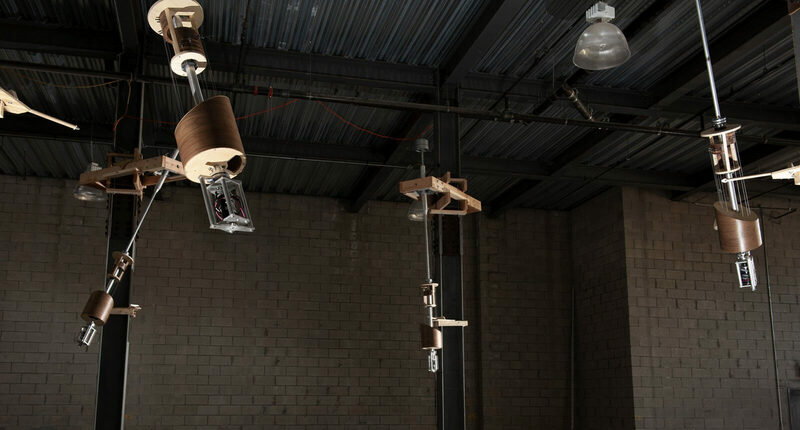 Cavatorta developed the concept and overall design for a harp based on a series of robotic pendulums and hired Patten Studio to develop the electronics and firmware needed to control the movements of the pendulums to make them play music. With a production timeline of only five weeks, the project brought together a talented team of experts in music, mechanics, electronics and software under Cavatorta’s lead. 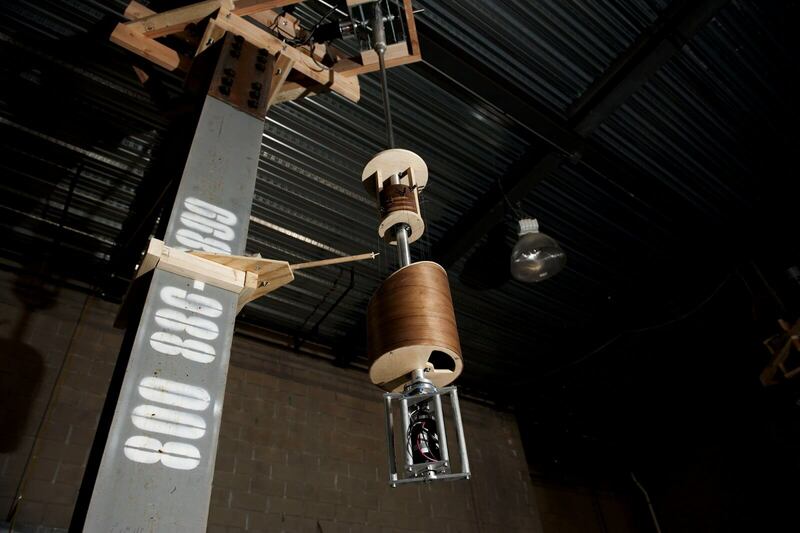 Gravity Harps consists of four robotic pendulums, each with a harp containing eleven strings. 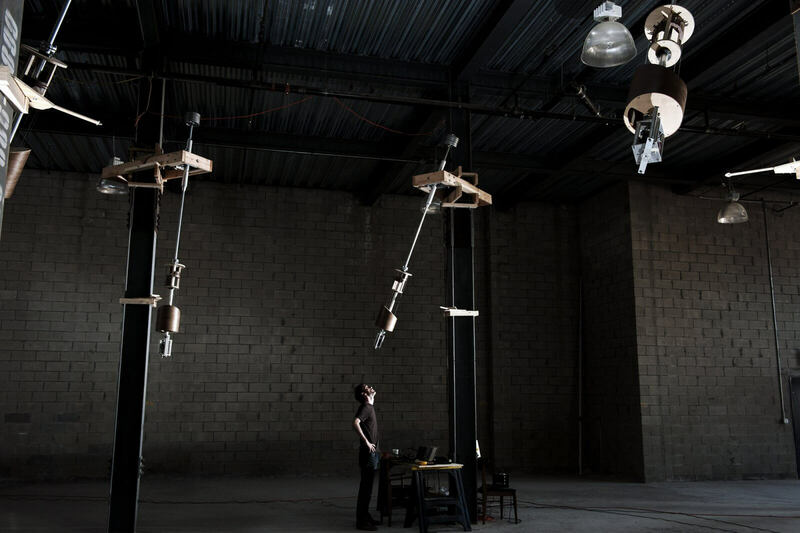 These pendulums, designed to hang twenty-five feet in the air, slowly swing back and forth taking almost five seconds to make a complete sweep. The notes to be played are sent from a connected computer that allows one to improvise or play a predetermined melody. Most of the motion used to play the harps comes from the natural motion of the pendulums. 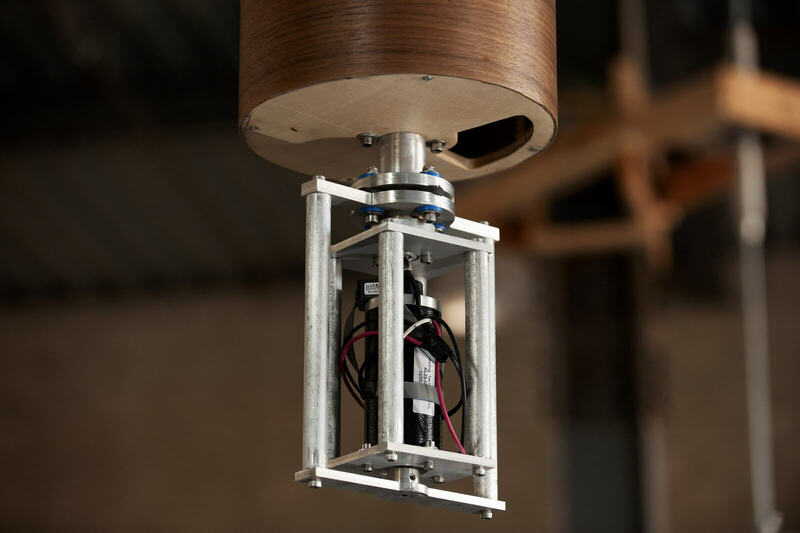 The pendulum has a motor attached to start and stop it, as well as to restore energy lost to friction and adjust timing. Each pendulum has a motor control circuit with an AVR microcontroller and two H bridges (one to move the pendulum and one to rotate the harp so that a specific string hits the plucker). All of the pendulums communicate with a control computer using an RS485 network. Control software, written in Python, sends out commands to each pendulum to maintain synchronization and control which notes are played. In order to produce an even sequence of notes, each pendulum is 90 degrees out of phase with its neighbor. Timing is controlled to within a few milliseconds while the whole thing is running.